See how Salina Taqi and Jeannette and Fuzzy Faruque spend their days whipping you into shape! SALINA: It was after my first class at Pure Yoga in Singapore. I was out of a job, highly strung and in a negative frame of mind. Yoga just changed me, which changed everything. JEANNETTE: One of the main reasons was the reality of seeing myself so large during my first pregnancy, and not only how I looked but how I felt about it. I was very unhappy with myself. Then, I started to workout and look after my diet. The results were amazing and the feeling was great. I started teaching in Peshawar to the Expat community, and since then I havenâ€™t stopped. FUZZY: My fitness journey began by default. I was teaching at the American School with no interest in fitness when I decided to quit my job. While trying to figure out what my next step in life would be, I started helping my mother out with the management of the studio and slowly began to take classes as well. A turning point came when I took my mother and Salinaâ€™s One Week Detox program. It was my first time ever detoxing and experiencing the process. A week later, I felt like a new person, and soon after I changed my eating habits and lifestyle. WHAT INSPIRED YOU TO START YOUR OWN STUDIO? 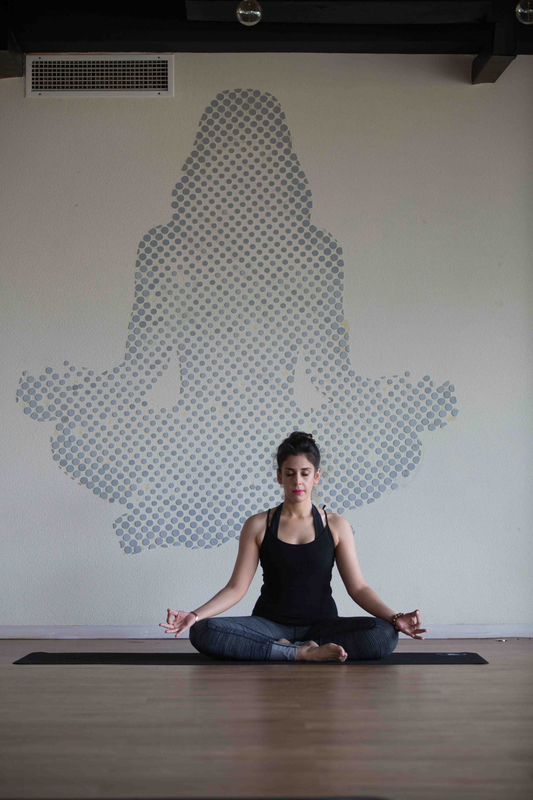 SALINA: Being extremely like minded and passionate about yoga, I would always talk about opening Pakistanâ€™s first hot yoga and yoga-only studio with Jeannette. 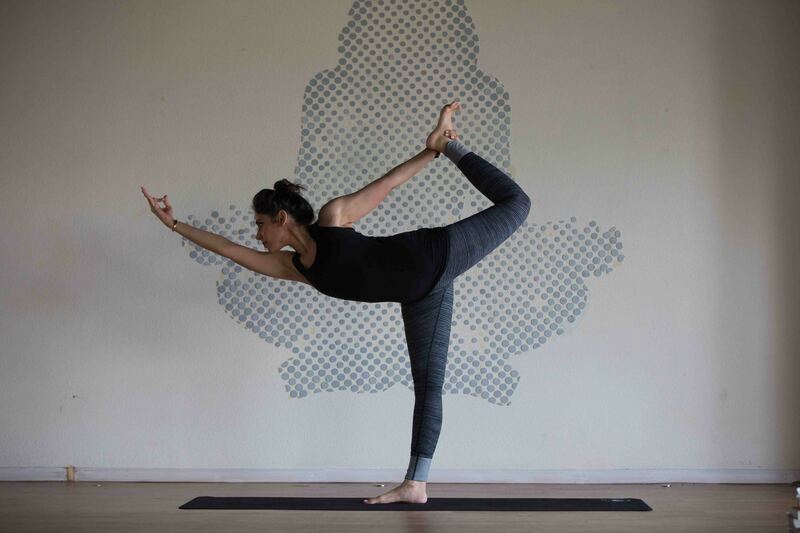 When our classes started getting extremely full, we knew it was the right time to partner up and open up Yoga X.
JEANNETTE: My inspiration was an Australian friend who was teaching aerobics classes at her home in Karachi to her friends. I also attended her classes regularly and realized the need for a proper fitness studio where you could find different type of group classes. People were getting curious about fitness but there were not facilities and not too much knowledge about it. Thatâ€™s when I decided to do something about it. SALINA: You really grow as a human being. JEANNETTE: I can make my own decisions, create my own brand, have the flexibility of setting my own work hours and find balance between work and my own private life. Mostly, I can follow my passion. SALINA: Challenging! You need to have the right mix of being motivating, stern and friendly. Iâ€™m still working on it. JEANNETTE: Challenging, but I absolutely love it. I think that if you give respect you will earn respect. If you are professional you will get professionalism, so it all depends on the human being; gender is not a barrier. FUZZY: I run the Ultimate Detox Bar with Salina. We deal with suppliers, manufacturers, do our own accounts and are very much apart of everything that goes on at the Juice Bar. In saying that, yes we have experienced times when our suppliers donâ€™t take us seriously. But, we have always found a way to stand strong on our ground and keep learning day by day the in and outs of running your own business. Being a lady definitely has itâ€™s drawbacks but thereâ€™s nothing you canâ€™t do when you set your mind to accomplish something. JEANNETTE: My inspiration are my children,who are proud of who I am and what I have achieved. FUZZY: What inspires me is my team. Salina and my mother are both strong individuals who have been in the business longer than I have. Itâ€™s always great to see them at work, get guidance and be inspired by their hard work and determination. I definitely believe that when you surround yourself with positive energy, that in itself will inspire you to keep pushing and moving forward in your work life. SALINA: I am certified to teach universal yoga and vinyas a style yoga. In addition, every time I travel I do as many refresher courses as possible. I really enjoy changing things up. JEANNETTE: I got certification for group class and personal training.Â Iâ€™ve attended workshops on Pilates through out the year, and have trained as a yoga instructor for many different styles. I try to attend as many workouts as I can to better myself to provide my clients with more each time. FUZZY: I am a certified Spinning Instructor, where I learned about anaerobic and aerobic levels of the body. I am also certified in Juicing for Health, and am a certified Health Coach. I can guide clients on nutrition through healthy eating and cure the body naturally. The next certification I want to do would be weight training for women. SALINA: Being recognised by Sana Hashwani for my work and being nominated as a Pondâ€™s Miracle Woman. JEANNETTE: The moment I got the entire ownership of Studio X followed by the success of being able to open a larger studio with more services to offer. 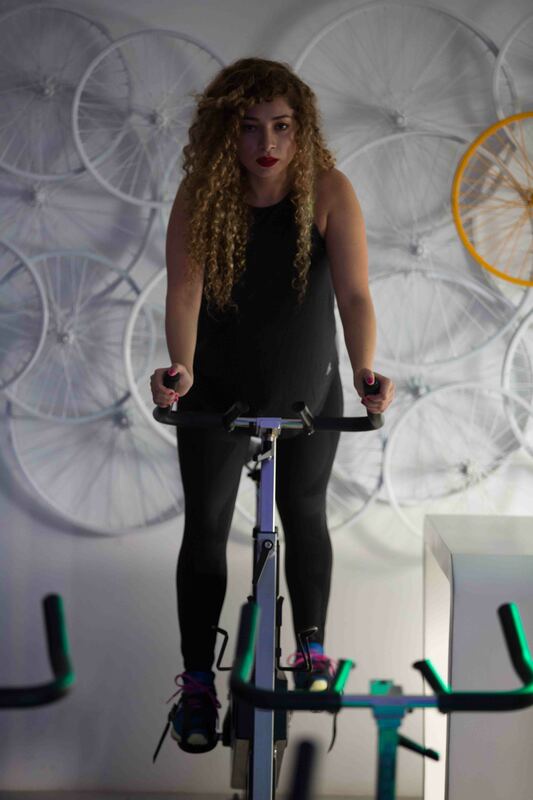 FUZZY: Introducing Spinning to Studio X.
SALINA: Each time a fellow yogi gets into a pose they have been working on, the look on their face is priceless. JEANNETTE: The experience of seeing in front of my eyes people gradually transforming into a healthy and happy human beings. SALINA: Restorative Yoga. Itâ€™s a class in which you restore and relax your body, and you literally feel the stress melting off your body. In addition, I love teaching Hot Yoga. It is high in energy and you really feel like youâ€™re on a yoga high after class. JEANNETTE: Body Pump, because I love strength training. SALINA: Every day your body is different; be patient with yourself, because this is NOT a competition. FUZZY: Be consistent, be punctual and be focused! SALINA: Yoga is only for the flexible. JEANNETTE: Weight training will make women bulky and broad. FUZZY: Spinning is bad for the knees and back. And I hate hearing â€œIâ€™m not losing weight on my scaleâ€.Â Of course youâ€™re not! Muscle weighs more than fat. SALINA: Is a yoga class in which you experience something within, a class in which you learn something about yourself, a class which makes you â€œFEELâ€. JEANNETTE: Makes you sweat and cry and then smile. FUZZY: One that challenges you. While you work out, you feel like you are going to die, but when the workout is over you feel reborn with the feeling of accomplishment. SALINA: Relaxed and chilled out. JEANNETTE: Colourful tights and tops with funky trainers. FUZZY: I love funky tights with a simple black or grey tank top and a pair of Asics trainers. SALINA: A simple clean bun. JEANNETTE: Pony tail with a bandana on. FUZZY: Being punctual and straightforward. SALINA: My inability to say no and inability to multitask. JEANNETTE: I am tough and straight forward. SALINA: A big green juice! The Metabolism Booster is my favourite, followed by toast with almond butter. JEANNETTE: Eggs with toast or chia porridge. FUZZY: 2 egg veggie omelette with brown toast and almond butter. SALINA: I get to meet like minded people, drink juice and smoothies all day and am always on a yoga high. JEANNETTE: I get to be fit and I get to be a part of peopleâ€™s journey to fitness and wellness. FUZZY: Loving what you do, and not feeling like itâ€™s a job. JEANNETTE: My hair can never look nice, clean and proper. FUZZY: Itâ€™s an end to my social life! SALINA: I head to the studio to check on the juice bar, hang out with my partners, take or give a class, close accounts and head home. I have a long mid-afternoon break where I devote my time to Aydin, my son. JEANNETTE: I do two or three classes a day, oversee the entire management of the studio, do personal training, plan workouts and programs, take measurement of clients to check their progress and then head home to unwind and spend time with my kids. FUZZY: Iâ€™m at the studio early, and check up on things between classes. There are some days where I teach a late class or have three in a day, and thatâ€™s when Iâ€™m totally beat. SALINA: Get a different perspective on the business. We are both very passionate about what we do, and I love having someone I can bounce ideas with. Itâ€™s magical. JEANNETTE: I am the sole proprietor of Studio X and I partnered up with Salina to open the YogaX Studio. The best thing about working with a partner is that we complement each other with the knowledge each of us has. We both are very different, but work together very well. SALINA: Inhale and exhale. Youâ€™ve got this. JEANNETTE: Be passionate. The more experience you attain, the more knowledge you can provide your clients with and the more they trust you with their wellbeing. IF YOU COULD SPEND THE DAY WORKING OUT WITH ANY ONE CELEBRITY, WHO WOULD IT BE? SALINA: I would love to practise yoga with Anna Forrest. FUZZY: Jillian Michaels! Imagine trying to keep up with her. SALINA: Vegetarian chilli, a yummy salad, or daal with brown rice. FUZZY: A smoothie – either Iron Warrior or Muscle Fuel from The Ultimate Detox. SALINA: We always begin and end class with an intention. It could be something we would like to change about ourselves or something we would like to achieve. Very recently, someone told me that they visualise getting into their dream college. And 9 months later, they got the letter of acceptance. It still gives me goose bumps thinking about the power of focus and visualisation. FUZZY: The most memorable stories are those when you see clients getting stronger and more determined. Those are the stories that I am in awe off. SALINA: The Hot YogaX challenge! 21 days of hot yoga back to back! Lets get focused and burn that fat! FUZZY: Getting more certifications to improve myself and keep learning. WHEN DID YOU COME UP WITH THE IDEA FOR THE DETOX JUICES? SALINA: After being an active juicer for years and seeing the great effects of detoxing during The Ultimate Detox programs at Studio X we collectively decided that we wanted to share this goodness with everyone. Now, clients swear by our juices, which is the best feeling ever. HOW LONG DID IT TAKE YOU TO PERFECT THE RECIPIES? SALINA: Each juice is unique, and has been formulated with intensive weeks and months of research. Weâ€™ve done various courses on raw food, detox juicing, superfoods and smoothie formulation. Our aim is to offer our clients whatâ€™s up to mark Internationally. WHAT FEARS DID YOU HAVE ABOUT CONSUMER REACTIONS? HOW DID THAT CHANGE? FUZZY: One of the first fears we had when we were coming up with the juices was that they had to taste good otherwise no one would buy them, and another was the price. Our juices were more expensive then those you could easily find available in the supermarkets or on the roadside. Itâ€™s an extremely niche market to pursue, but Salina and I had faith and believed in our products. We were introducing something new, but once we launched we got numerous amount of positive feedback – which was unexpected. People were ready to try the idea of a juice cleanse, and experience the process. 2 years later, we still find it difficult to convince people to have a green juice, to not judge the juice by its colour and to give it a try. But from the beginning we knew we would face these obstacles. However, once the client tries it, they automatically feel the difference and thatâ€™s what The Ultimate Detox is all about; that positive change! WHAT YUMMY JUICES CAN WE EXPECT NEXT? FUZZY: We have just recently launched our line of all natural Smoothies at our Juice Bar and are working on a line of salads to be introduced very soon!